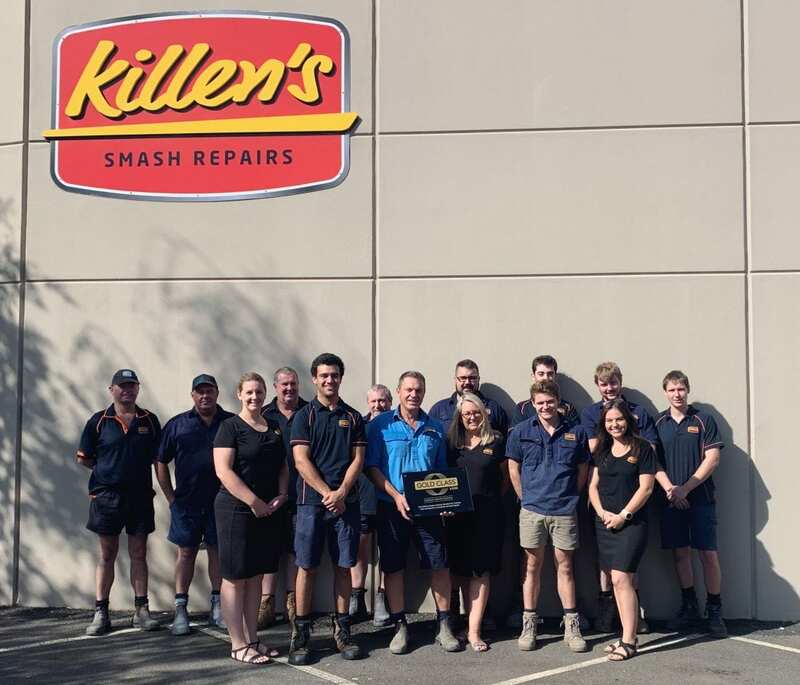 I-CAR Australia Gold Class Coordinator Gary Wood recently announced that Killen’s Smash Repairs in Armidale, New South Wales has been awarded the prestigious I-CAR Gold Class Collision status. “I am extremely pleased to award Killen’s Smash Repairs I-CAR Gold Class status. Michael and the team have been regular participants in I-CAR training for several years and made the decision to join the Road to Gold 12 months ago. They have now now successfully met all the requirements for I-CAR Gold Class status,” said Mr Wood. “Killen’s Smash Repairs is very proud to have achieved I-CAR Gold Class status. We have valued I-CAR training since it began in Australia and believe that it provides direct benefits to our business in helping us ensure that our repairs are completed to the highest possible standard and our clients can be confident that we are delivering the safest possible repair,” said Michael Killen.